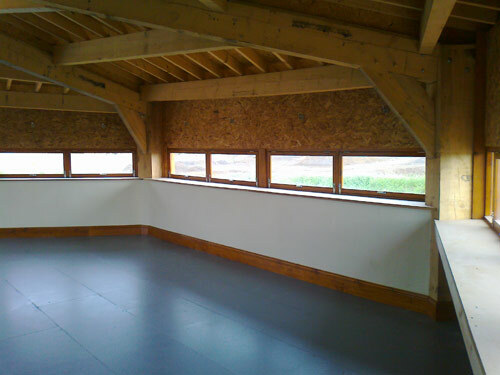 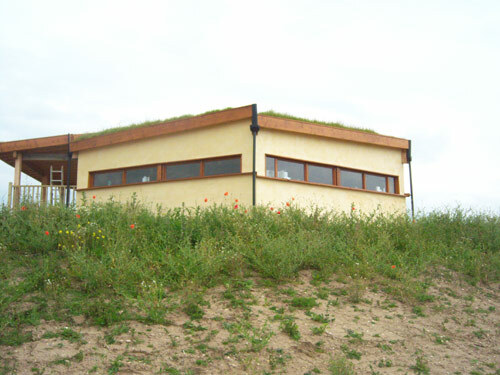 This straw bale bird viewing hide was constructed in 2011 for Yorkshire Wildlife Trust at North Cave Wetlands, East Yorkshire. 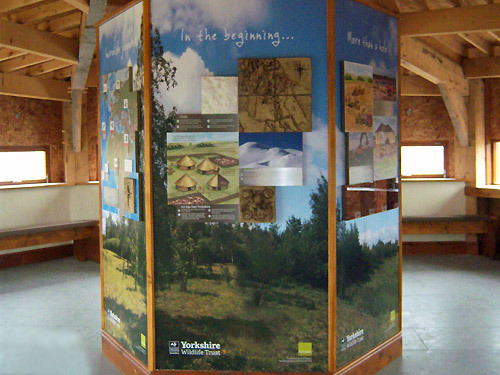 See www.ywt.org.uk. 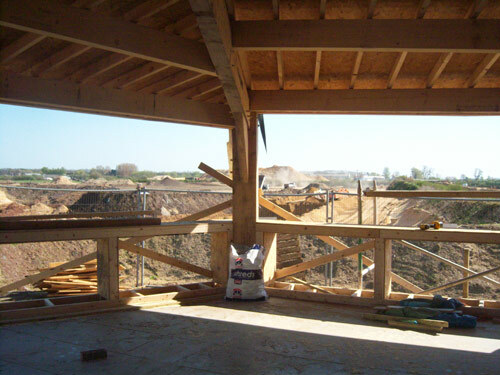 It provides 270 degree viewing over the existing and proposed nature reserves. 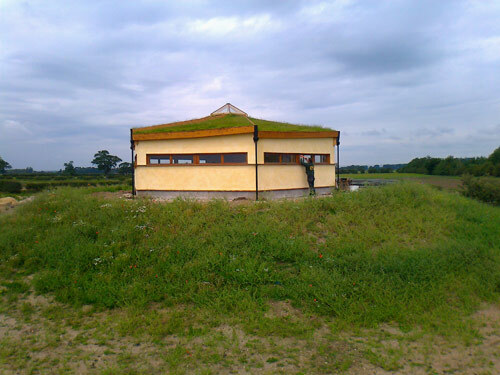 The hide is hexagonal in shape with a 10 metre diameter. 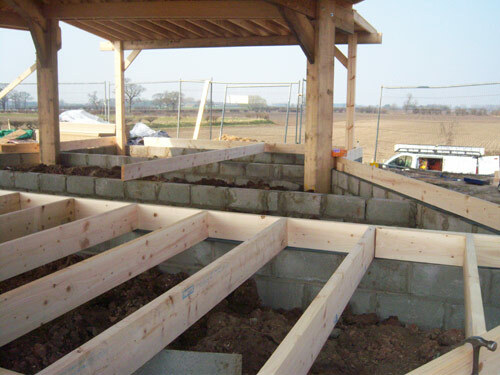 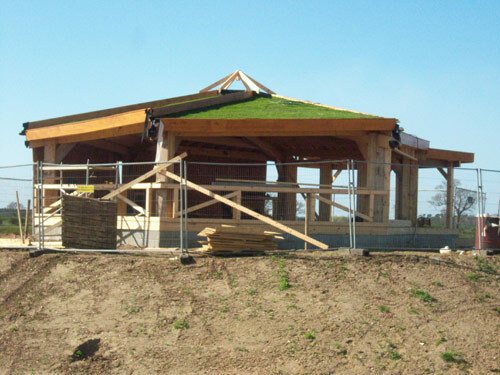 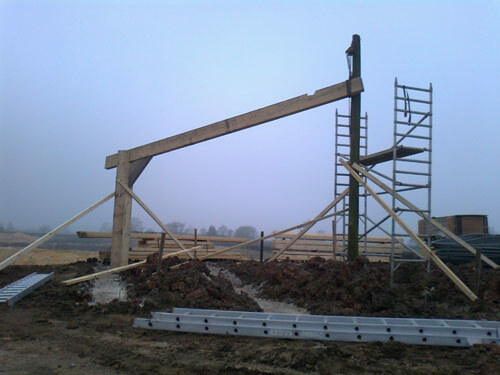 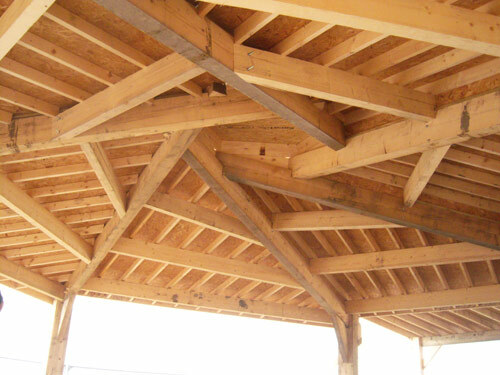 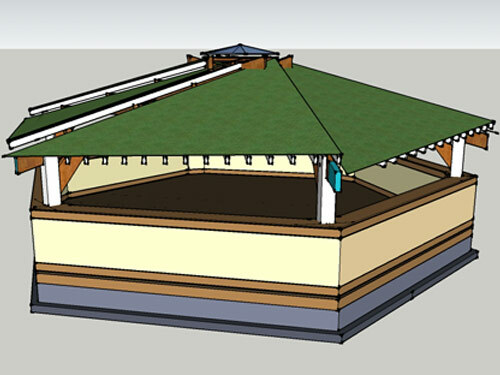 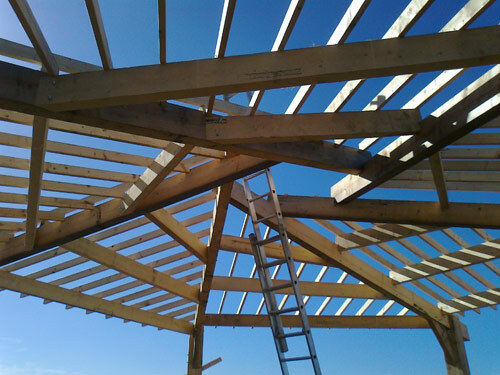 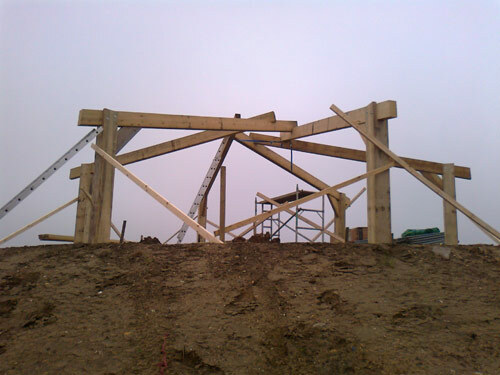 It has an impressive timber frame with a reciprocal roof which carries over 15 tonnes of soil from the site. 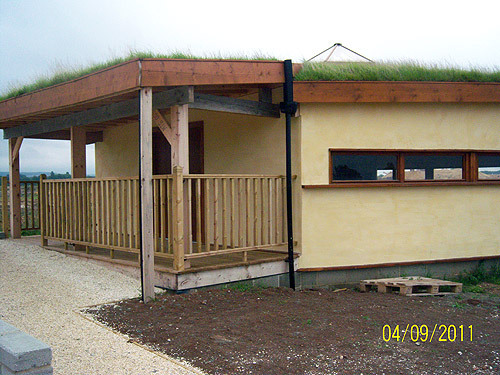 Locally grown turf was initially laid to keep the soil in place but over time, native seeds should gradually colonise the roof. 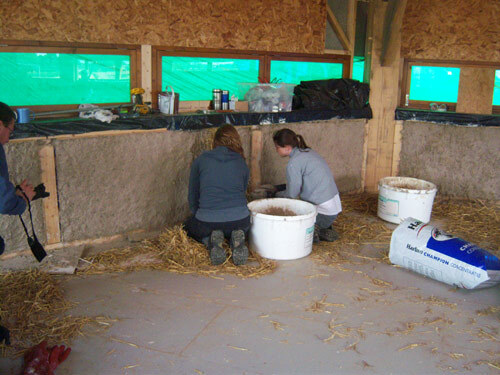 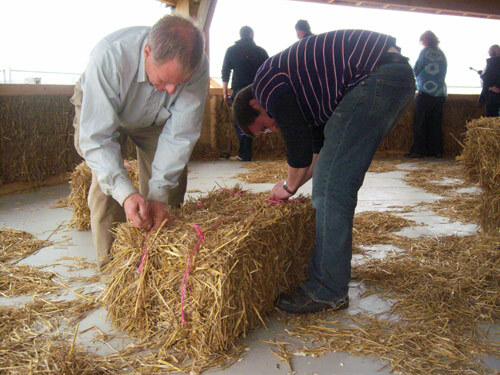 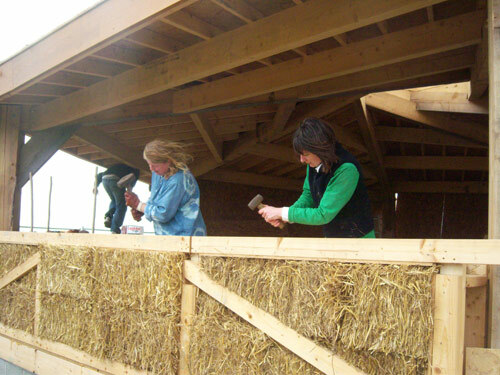 Trust volunteers helped to stack the bales and apply the first coat of lime render inside and out. 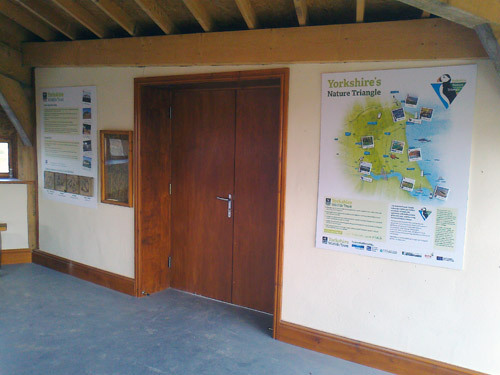 To read the Yorkshire Wildlife Trust's testimonial please click here.